We’re again thrilled by the growing interest in The Oxbow Hotel from our friends across the MN border! 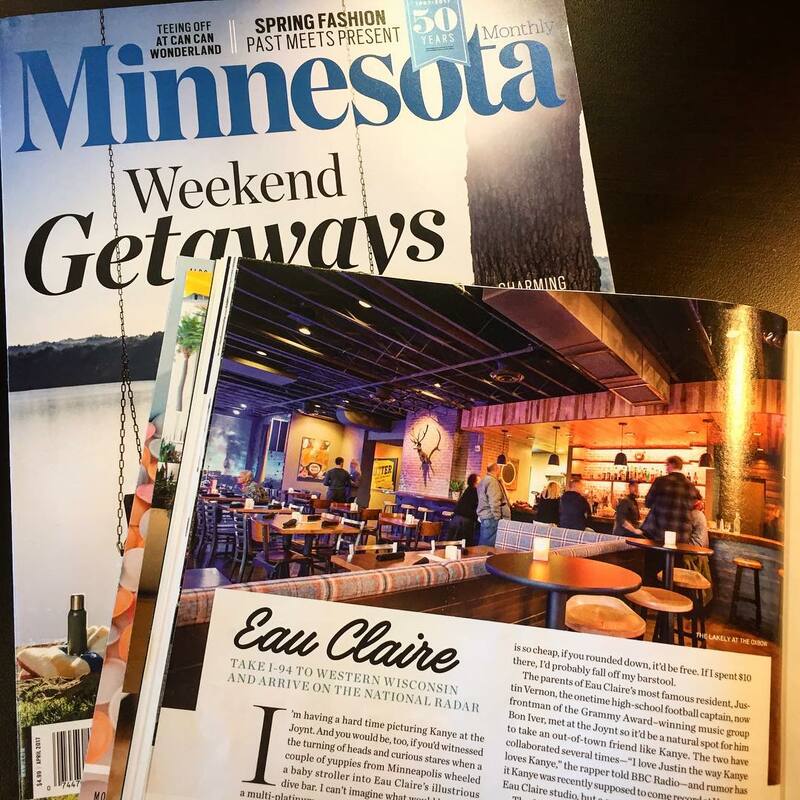 This time @mnmomag (Minnesota Monthly) did a spread on all the cool stuff happening in downtown Eau Claire (with a big ol’ shot of The Lakely) and had this to say: “The Oxbow Hotel…debuted last fall with an equally hip but artsier feel. In the hotel’s restaurant and lobby, the décor feels contemporary while evoking a retro, Northwoods feel (furnishings with plaid upholstery and live-edge timber),” editor Rachel Hutton wrote. “Guest rooms feature place-specific art of the sort that hipsters buy on Etsy (lake topographies, screen prints with the Wisconsin state outline) and…there’s a record player. Discs may be checked out from the front desk…” So glad Rachel paid us a visit. She raved about the food and drink from @cheftronberg and care at The Lakely too. Check the link in our bio for the full article on Weekend Getaways.